Well the bad news for me this week is that Adobe have released the new version of Premiere Pro 2019. I say “bad news” because that means I have to do another updated review of the whole thing. Given my inherent laziness I am sure you understand my position! I have have however had a chance to take a quick look at it and I must say there are some pretty good improvements in the program overall. Apart from the usual additions to some of the effects you get which is fairly standard with most editing software updates this one seems to have a theme to it. Most of the work that seems to have been done has been in relation to the automated creation module and the guided edits part of it. 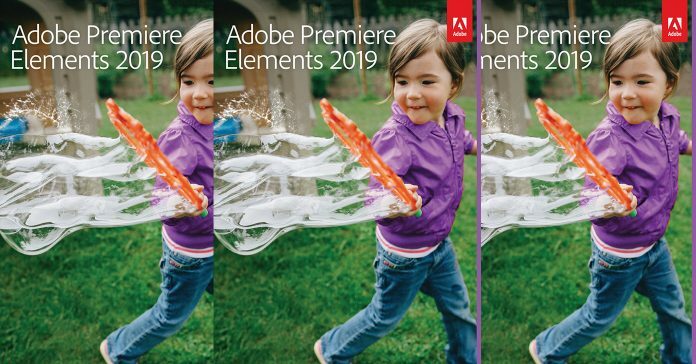 A long time ago Premiere Elements was created as a simpler spin off from Premiere Pro but as is the case with most software born that way, it was kind of clunky and difficult to work with. Then a few years back Adobe started concentrating on really getting the program into shape as far as providing a simplified user experience went. This editing shows even further improvement on that development track. The Auto Creations module has been developed to utilize a type of AI program to put together projects but for me the real value is in the Guided Edits. These allow the user to be guided through the entire editing process with short instructional videos served from within the interface. That means a total newbie can get up and running almost on the spot but more importantly, can learn as they go. At the moment there is a lot of discussion going on about the perceived quality differences between high end and low end cameras for shooting video. As with most subjects like this there are a multitude of opinions as to what those differences are and the degree to which they affect overall quality. Probably the most important thing to keep in mind when you are looking at this comparison is that a great deal of that discussion has at its root some kind of commercially driven basis. The people marketing low end cameras are always talking up the capabilities of those cameras and the people selling high end are talking up those whilst at the same time talking down the lower market. Interestingly this happens more often than not within individual brands! To me there are few differences and it is those differences that I use to determine whether or not I am going for high end footage or am fine with low end. By the way I include smart phones in the low end category as well. So here are the differences as I see them. 1. High end cameras will give consistently better results under a wider range of lighting and shooting situations. Low end cameras will tend to have a “comfort zone” where they produce good looking video but once you step outside that zone, things go to hell pretty quickly. This, for the lower end cameras means you will be spending a lot more time trying to sort out things like color matching. 2. High end cameras offer to capture video using professional codecs which while not totally lossless are far more amenable to later manipulation. OK thrill-seekers, this one is long, complicated, meticulous, fiddly and just about everything professional editing is in the real world! The transition being demonstrated here is incredibly effective and has huge wow factor and believe me, getting that kind of result don’t come easy! But if you are up for a challenge and want to learn a bunch of tricks all within one video then go for it. As a side note, even though everything in the video from shooting to effects looks like it requires some kind of pro setup, that’s not true. Most mid-range consumer level video editing software will have what you need to get this done. This is a good lighting setup video on using one light to create some effective results in your videos. I particularly like the fact that they are mainly using domestic lights rather than any kind of professional equipment. I am pretty sure that if you have read any part of this website that refers to the subject of transitions you will know that I have a particular disdain for the types of pre-package ones you get with most video editing software. If you watch any movie or TV show and just look for the cuts all you are going to see are mainly straight cuts or cross fades of various flavors. The problem is that when you or I do what we think is right as far as sticking to mainly straight cuts or cross fades the results seem a little dull! Well there’s a reason for that! When professional editors are using straight cuts as we think of them, a simple cut from one scene to the next, they are actually using them in a way that is almost invisible. Basically they are using variations on the straight cut depending on the situation and it is in those variations that they are maintaining viewer interest. Here are 5 of those variations that are all straight cuts but can be used to achieve much better result. Match Cuts, Jump Cuts, J Cuts and L Cuts, Cutting on Action and finally Montages. Check out the video to see what they are, how they affect the viewer’s experience and when you should use them. As per usual from Maliek this is a thorough and complete run through of the video editing process from within the new user interface of PowerDirector 17. It just about covers everything you need to know about it but because he is a pro it is worth watching from the point of view of understanding the sequence in which he demonstrates the whole thing. This is a solid tutorial on the subject of stop motion videos and although there are a tone of them out there on the internet this is one I particularly like. The concept of stop motion seems simple enough from the outside but once you start to get into it you soon realize there were a bunch of things you needed to have handled before you even started! Probably the key to the whole thing is your setup and although as the creator of the video points out this doesn’t have to be wildly professional, it does need to be dealt with. Last week I added two videos demonstrating the new Video Collage Designer module in PowerDirector 17. I figured that would be it but this week Sharper Turtle (the creator) came up with a third installment to the series. I am pretty sure that this is the final one but then again last week I thought those one were the final ones! So what do you get when you create a video using time lapse, hyper lapse and no visible cuts? Well to be honest there probably isn’t a real term for it but these guys have called it a Flow Motion Time Lapse and who am I to argue? The video below really is worth checking out if you want to get some great ideas on not only shooting videos in an unusual way but also putting them together with some very creative techniques. Nothing in the video shows any kind of tip or trick that cannot be executed by your average consumer level video editor. The real beauty in this one is that it shows you exactly how they put it together as well as the thought process on why it was done that way. OK, so I have added this video as a bit of a “borderline” one for this week! The first reason I think it is borderline is because the guy presenting the video is really annoying! Is it just me or do these overly enthusiastic presenters get under your skin as well? Anyway apart from that, the other reason it is borderline is that it gets a little technical in places especially when it comes to the equipment being used. Most of the stuff featured is pro level or at least semi-pro and put simply, that means expensive! So why have I included it? Well the answer to that is that the actual tips included in the video are well worth taking note of. If you ignore the annoying guy and the expensive equipment there are quite a few things in there that the average person shooting videos could use to make their video projects sound a lot better.